Lots of people want to work from home, but have you ever asked yourself, ‘Is working from home for me?’ In my last post, I talked about how I began working from home and I do love working from home. Working from home is something I had wanted to do since our kids were young. I’ve always liked working and keeping busy, and since I was a stay at home mom, trying to find some work to do from home seemed logical. I tried to put together a lot of work from home jobs, but not many panned out for a long time. Right before I started working at HSB I had finally given up and just left it all in the Lord’s hands, and I know He gave me that first job. But here’s the thing, now that I’ve been working from home for 7 years, I realized (and obviously God knew) that before the job in 2011, working from home back then wasn’t for me. I know that can sound shocking, since I work from home, and want to help others who want to work from home too. But before you can start on your own personal work from home journey, you need to ask yourself if working from home is best for you. Most people just look at the fact that they don’t have to work for a ‘boss’ as the main reason they want to work from home. But there are more aspects to working from home than I ever realized, it’s not just about being your own boss (though that is a great benefit). Back when I first started blogging in 2005, it was a hobby for me. 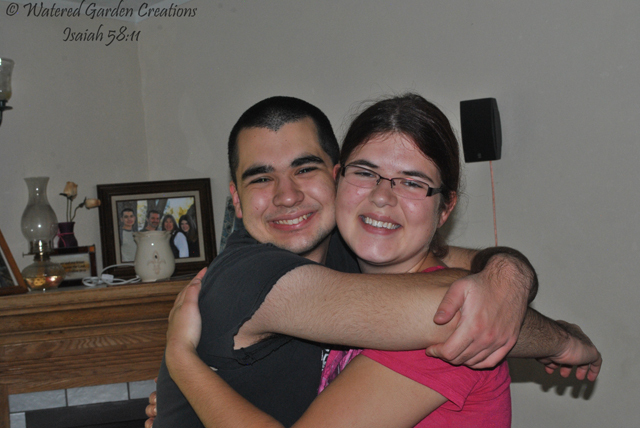 I started so I could get the homeschool support I needed, and make some friends, and that is exactly what happened. But as I started moving to different platforms to host my site, I started wondering if I could make my little website pay for itself. Could I make some money from it? Remember earlier when I talked about trying to put together different work from home jobs, well this thought was another one of those I tried to put together. But it never seemed to work for me. No matter what I did, whether it was trying to build my website, or make crafts to sell online, or find data entry work, I wanted what I did to help me make some money, but I never really got past the ‘hobby’ stage of it. I knew whatever it was I did, I needed to make time for my ‘work’, but since I wasn’t looking at the crafts I made as an actual product, or the website I was working on as more than a hobby, I never got very far. As soon as something more appealing came up, I easily put down whatever I was working on and rarely finished it. Yes, one of the many joys of working from home is that you can do extra things you might not be able to do if you clocked in for a job. But that’s just it, if you truly want to be able to work from home, and make some money from it, you need to realize you have to, well, work! Just like if you clocked in for a job, you can’t always just stop what you are doing and go do something that is more appealing at the time. You need to finish that piece of jewelry or write that article, whatever it is you want to do. Sometimes you have to say no to something immediate so you can finish what you need to finish. You must make the time to actually do your work or you will never succeed. I know a lot of people will say, ‘JoAnn, that’s why I want to work from home, so I don’t have to be on a schedule!’ Well, I’m sorry to say, but you will need to be on some sort of a schedule when you work from home. But here is the great part, YOU get to pick what that schedule is! No one is telling you what days or hours to work unless your work from home job is for another company. No one is telling you that you have to start your job at 9 am and work until 5 pm. That is one of the many joys of working from home, but you do still need to have some sort of schedule and be organized so you are finishing and accomplishing what you need to. This is where organization comes in, making sure you know what you need to do each week. Do you need to have 3 more necklaces made for your online shop? Then make sure you have that marked in your planner, so when you sit down to work, you know exactly what you need to do and can schedule enough time in your week to finish them. Then when something more appealing comes up, you can look at your schedule and decide if you can afford to take the afternoon off. I will be going more in-depth with my thoughts on schedules and organization in later posts, but for this post just remember, you do need to have some sort of schedule in place, but YOU get to pick that schedule. I honestly can’t stress this enough, you NEED your family’s support if you are going to work from home. Ladies, you need your husbands support for any work from home avenue you want to try. First, I just feel that husbands and wives should agree on something this big before starting it. But beyond that, you will need the help and encouragement that comes from his support. When the dishes aren’t done, because you had a deadline you had to meet, you want to know your husband already understands and accepts it, and will even help. Or maybe you just need that encouragement when your jewelry just hasn’t sold yet. I can’t express enough how important it is to have our husbands support. But I’ll go even farther and say having your children’s support is helpful too. Obviously, I’m talking about older children, but to know they are there to help were needed, sometimes even with your business is a huge blessing. If you are thinking of starting your own business, make it a family business if possible. Regardless, make sure you have the support you need before you start your journey, I guarantee you it will make a huge difference. There can be many struggles with working from home, here are just a few I’ve dealt and continue to deal with. Lack of space. My ‘office’ is in a little corner of our living room, which means there is no door to just close so everyone knows I’m working. To be able to work from home productively, you need to be able to have an area where you will do your work otherwise it will lead to the next struggle, interruptions. Interruptions. They happen more often than I would like. You need to know how to handle interruptions. This is where your family’s support is huge. Will they understand that you can’t be interrupted? Can they manage for a bit without your input? Interruptions take your focus away from what you are working on, and getting that focus back takes time and energy. Time and energy you could be using on your blog, jewelry, website or whatever it is you do from home. Lack of supervision. I know a lot of people are thinking, this is a struggle? Yes, it can be if you are not self-motivated. If you need someone to constantly tell you what needs to be done and when. If you need someone to direct you every day. If you can’t be your own boss and make the decisions needed each day, then working from home might not be for you. You need to be able to see what needs to be done and do it. You need to be able to make decisions, even if those decisions are wrong, and move on. You need to be motivated to get your work done and not need someone to constantly push you. Becoming a work-a-holic. Yes, this can be a struggle, it’s my main struggle. I love my work, I love researching new things for my website, I love creating new projects. I love to work. But that can be an issue when that’s all I’m doing. When instead of spending time with my family, I would rather research something new, or write a new post. Again, my husbands support with this is huge, and he helps remind me when I’m defaulting to work more than doing things with my family. No way to leave the office building. When you work from home, work is always with you. When you turn on your computer to check your email, you will be drawn to write more on your latest article. If your emails constantly ping you, your ‘let me check my emails real quick’, turns into an hour later and you haven’t started dinner. You have to put boundaries in place so you have the quality time you desire when you are not working. I know this whole post can sound depressing, but honestly, it’s encouraging. I want to encourage you to look at these different aspects before you start something that might cost you time and money and it’s not something for you. But more than that, it can encourage you that YES, working from home is for me! That is what I hope to help with through my site. I want to be there to help encourage you, give you tips, help with organization, and even work with you to help you set up a website or other technical items you might have issues with. But before you start on that journey of working from home, make sure it’s a good fit for you. 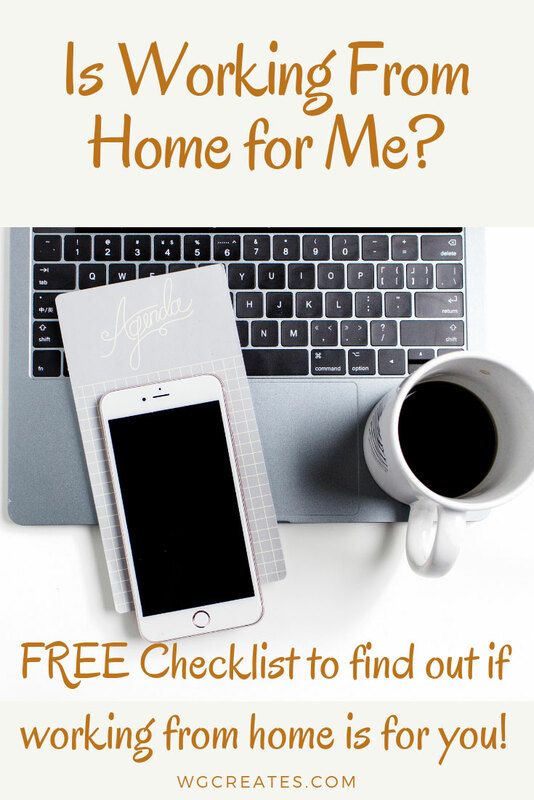 I have a FREE checklist I would like to offer you to help you know if you should work from home. I hope it helps you solidify that working from home is for you and that you are ready to start a journey, that for me, has been such a blessing. Once you sign up for the free checklist, please let me know what you think. Is working from home for you? Do you already work from home and see yourself in some of these areas? I would love to hear from you and know where you are at in your working from home journey.